Must be able to obtain and hold a Tier 4 VA Clearance. 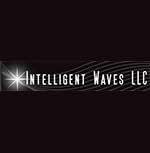 Since 2006, Intelligent Waves has remained committed to providing quality engineering and intelligence solutions to our clients and it all starts with YOU. Not only do we provide an unprecedented benefits package to include Health & Welfare, paid sick & vacation leave, 100% paid life & disability packages, but we also invest in our employees' futures by matching 100% of 401K contributions DAY 1, technical training, tuition bonuses, and much, much more.